Polyelectrolyte gels are ductile elastic electroactive materials. They consist of a polymer network with bound charged groups and a liquid phase with mobile ions. In water-based solutions, these gels show enormous swelling capabilities under the influence of different types of stimulation, such as chemical, electrical, or thermal. 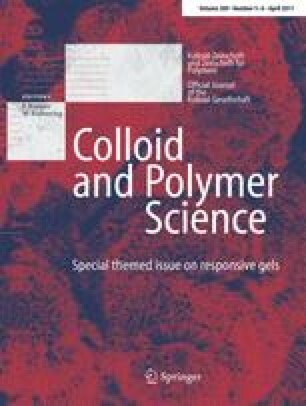 In the present work, a coupled multi-field formulation for polyelectrolyte gels using the finite element method is applied. Additionally to the three given fields—mechanical, electrical, and chemical fields—the dissociation reactions of the bound charges in the gel phase are considered. In this study, chemical stimulation (change of pH or salt concentration) is investigated for gels placed in solution baths. By changing the ambient conditions, we are able to simulate both pH stimulation and change of salt concentration, and to give the change of the mobile and bound ion concentrations, the electric potential, and the mechanical displacement. This research has been financially sponsored by the Deutsche Forschungsgemeinschaft DFG within the SPP1259 “Intelligente Hydrogele” under the grant WA 2323/2-2.